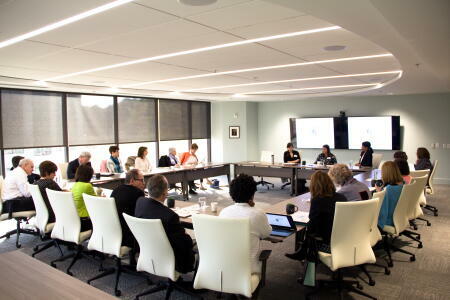 The Wake County Community Foundation recently hosted a panel discussion on the state of homelessness and the role of philanthropy. The panel featured Denise Neunaber, executive director of the North Carolina Coalition to End Homelessness and Shana Overdorf, executive director of the Raleigh/Wake Partnership to End and Prevent Homelessness. The event offered a statewide and local perspective as well as a call to action on the role of philanthropy. 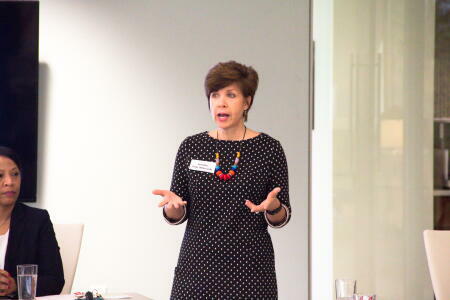 NCCF CEO Jennifer Tolle Whiteside (pictured above) joined the discussion and welcomed attendees to NCCF headquarters.